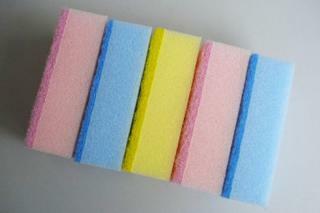 You can buy good quality Abrasive Scouring Pad Sponge, we are the best distributor of Chinese market. 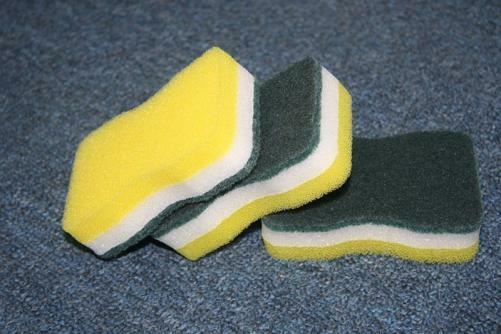 Material: High-quality abrasive which has very strong abrasive cleaning ability, rapid and effective in removing dirt and stains; Synthetic fiber which is constituted by non-woven fabric technology, forming open porous structure of the whole scouring pad; PU ordinary sponge which is very soft and strongly water-absorptive and can produce abundant bubbles. 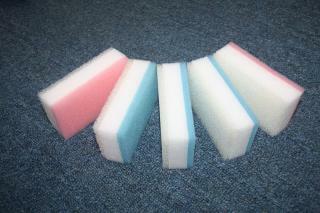 Product size: 35*63*110mm, can be made to order in light of customer’s requirement of sizes or shapes. 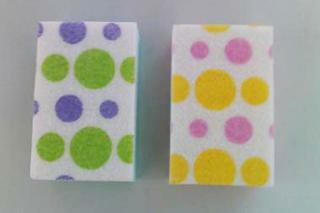 Product color: Yellow and green sponge is laminated onto blackish green scouring pad, colors can be adjusted according to Pantone card. 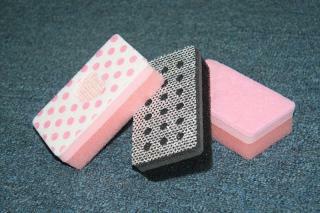 3.Diversified function: One side of scouring pad can remove dirt and the other side of sponge can produce bubbles. This is what we call double effect. 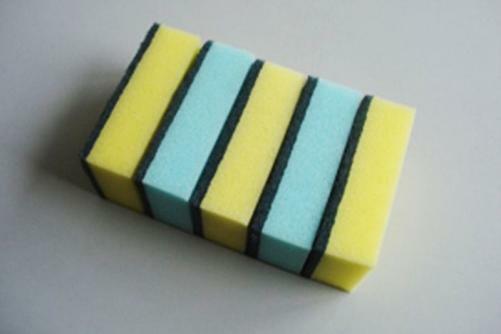 This style is widely applied to the cleaning of the surface of hearth, sink, pot, bowl, ceramic tile and pottery.